Last week I demonstrated mixing color on the palette versus directly on our paper. This week I will show dropping in (or charging) and glazing. Dropping in color, or “charging” as it is sometimes called, is similar to mixing on paper except that, instead of brushing the second color next to the first, you drop your second color right into the first color while it is wet. This extra pigment results in an exciting mix of color and edges. Select two colors. 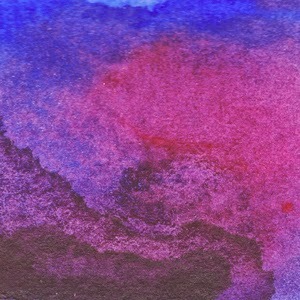 Paint a swatch of your first color on dry or wet paper. While it is still wet, add a loaded brush of your second color. Watch as the heavier of the two colors pushes the other color around. Experiment with different ratios of water and paint. Glazing refers to layering washes of transparent color over dry paint. Only use transparent paint for the glazing. 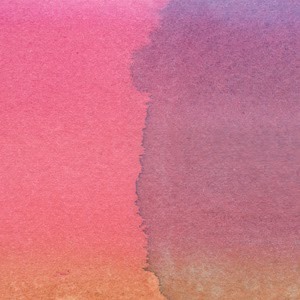 Paint of swatch of your first color (either transparent or opaque) and let it dry completely. Gently paint a thin wash of transparent color over the first. Vigorous brushing can disturb the bottom layers of your glaze, and, if you add too many layers, the effect can look muddy. This is an excerpt from my book, "Watercolor Made Easy: Portraits", available at most major bookstores and Walter Foster Publishing.